This armoire sits innocently in the corner of my living room. 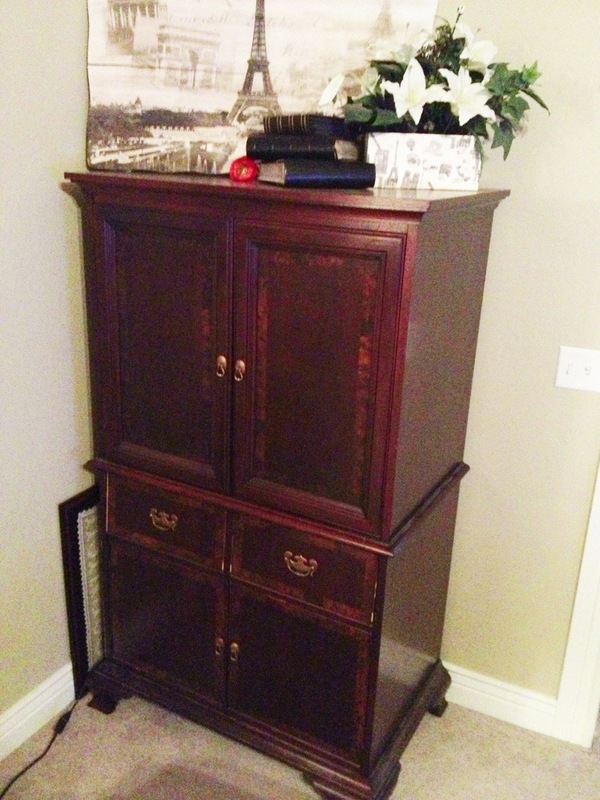 It’s an old TV armoire that was given to me by a family member. 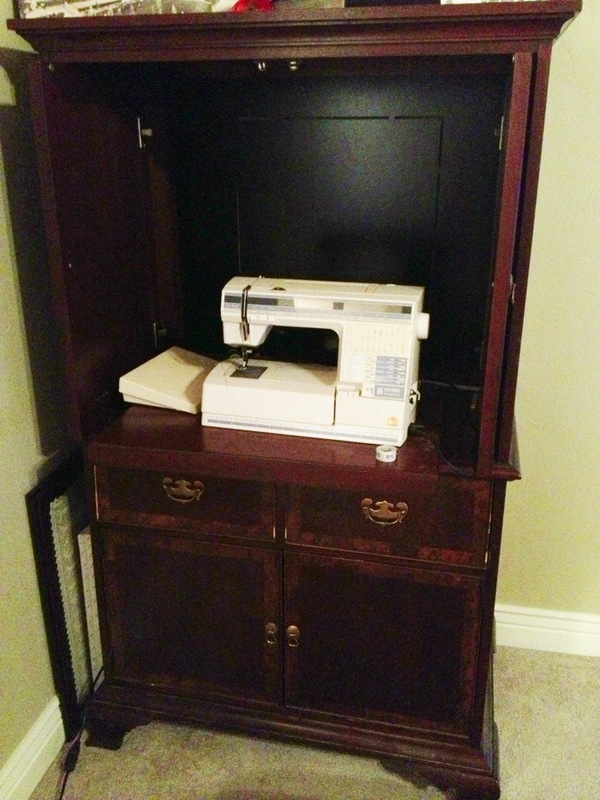 And it solves a huge problem for me… where should I put my sewing machine?? It’s my craft armoire. It saves tons of space, and it’s pretty. That’s all. As you were.